Once a flourishing mining destination, Utah soon became renowned for its ski slopes and is now a resort destination filled with a number of accommodations in varying styles, allowing visitors from all over the world to enjoy the surrounding beauty. Whether you’re into glamping under the endless expanse of starry skies or you’d rather spend your time on adventures in its many national parks, there is a resort that is just right for you. The Waldorf Astoria is renowned, and their Park City accommodation is nothing less than what you’ve come to expect of them. You’ll have exclusive access to snowboarding and skiing within Park City Resort, which is the largest ski resort in the United States. The alpine paradise is known for providing a safe, family-friendly atmosphere to enjoy the great outdoors as well as all the services provided within the hotel. You can choose to stay in a room that has a picturesque view of the mountain town or one with a whirlpool for some private relaxation. Be sure to take advantage of all the treatments provided by the Waldorf Astoria Spa, which can tailor your experience to include a private treatment room, hair and nail services, steam rooms, as well as a weekly yoga or Pilates class. 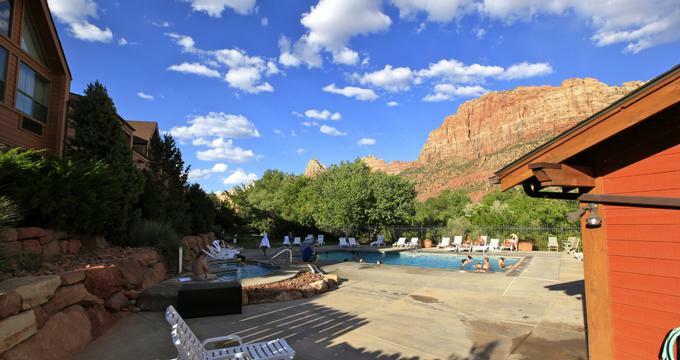 There are no words to explain the beauty of Sorrel River Ranch Resort and Spa; the resort is nestled amidst the spectacular red rock mountains and provides views that are absolutely breathtaking. Your luxury lodging experience can vary from rooms and studios to suites and the Ranch House Estate. The latter offers a spacious and private vacation home complete with amenities such as a private balcony, fireplace, hot tub and sauna, full kitchen, exclusive bath products, and separate living room and dining room. Other features of the 240-acre ranch include a rejuvenating spa and a delicious dining experience that focuses on fresh, farm-to-table meals. 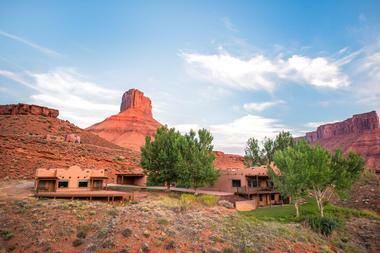 Imagine combining all of the luxurious amenities of upscale lodging alongside the excitement of being outdoors near Canyonlands National Park or Arches National Park. This is what a stay with Under Canvas Moab is like; the outdoor lover’s paradise takes glamping to a whole new level as the stylish tents are fitted with anything and everything you need for a memorable stay. The deluxe tents include a private en suite bathroom, private deck to enjoy the view, and a king bed with plus linens. Their suites have an adjacent teepee for you to have an authentic experience as you enjoy the starry sky. Conestoga Ranch is a rural resort in Garden City that offers beautiful views of Bear Lake, conveniently located as a launching-off point for exploration of nearby natural wonders such as Yellowstone National Park and the Grand Tetons. 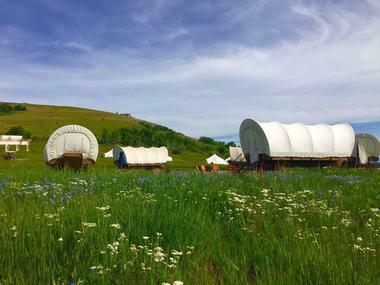 The unique lodging facility offers "glamping" opportunities for visitors, blending modern luxuries with an opportunity to reconnect with the beauty of nature. All of the resort's tents and covered camping wagons offer comfortable beds prepared with high-end linens, with upgraded accommodations offering en suite bathrooms, full electricity hookups, and minifridges. Other hotel-style amenities include an on-property casual dining restaurant, a spa, a game tent, and complimentary loaner bikes for exploration of the area's natural wonders. The traditional Swiss-style architecture of Zermatt Resort is stylish and inviting. The 300 guest rooms vary in ten different layouts and styles so that you can choose one based on your needs as well as your budget. Room amenities may include a work space, complimentary Wi-Fi, mini-fridge, microwave, full kitchen, room service, separate sitting area, fireplace, private balcony, walk-out patio, two-person jetted tub, and stunning views of the mountain surroundings. There are so many features and amenities within the hotel that guests of all ages will enjoy including a world-class spa, geothermal mineral pools, indoor/outdoor swimming pool, carousel, and multiple fine dining options. 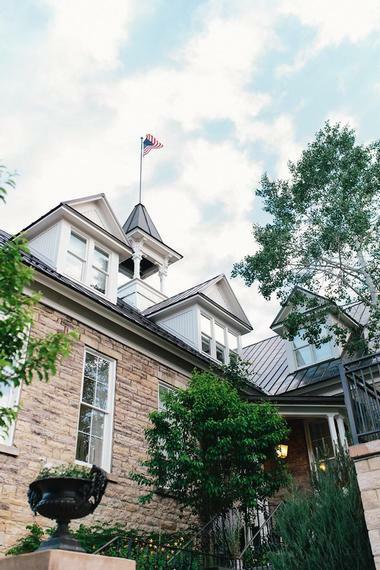 The Washington School House Hotel is an exclusive boutique hotel in Park City that has won many awards over the years. The structure was built in 1889 as a school and now offers twelve incomparable rooms and suites. You’ll be able to indulge within the historic living space by sitting next to a roaring fire or taking a dip in the hotel’s heated swimming pool. The accommodation varies in style and decor, but each has been carefully curated to include details such as crystal chandeliers, antique furniture, and abstract oil paintings. Some of the amenities include complimentary toiletries, complimentary Wi-Fi, in-room massages via their spa, and private dining amidst the towering mountains that surround you. Majestic View is not only a wonderful lodge right across from Zion Canyon, it is also home to a famed steakhouse as well as a gift shop. It’s a one-stop destination for enjoying your alpine vacation in comfortable lodging while feasting on local favorites and then buying souvenirs to take back with you. Arkansas Al’s Steakhouse is a favorite spot and there’s no better view offered anywhere else while dining; the large picture windows look out over the mountaintops as you feast on a hearty breakfast, lunch, or dinner. Additional amenities include a seasonal outdoor swimming pool, outdoor hot tub, guest laundry service, on-site pub, and complimentary Wi-Fi throughout your stay. 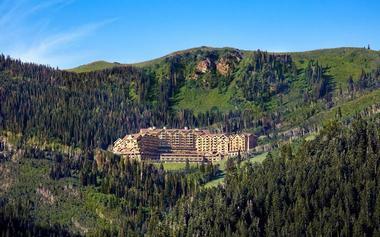 Montage Deer Valley is a majestic resort that offers an alpine escape that you will recall for years to come. The hotel has been around for over 15 years, providing a luxurious base for guests from all over the world to relax in and enjoy their Park City surroundings. There are rooms, suites, and residencies to choose from, and if you’re planning on heading there for a fun-filled family vacation, the residencies are a great choice. 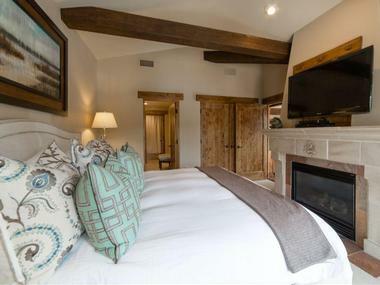 A luxurious home away from home, Montage Deer Valley’s two-bedroom residencies have a spacious living space, well-styled bedrooms, large private balconies, complete kitchens, stone bathrooms, and even an in-residence laundry facility. 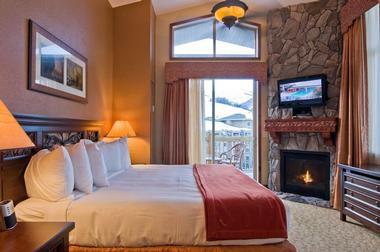 Newpark Resort & Hotel is a lovely accommodation situated amidst all of Park City’s varying sites and attractions. Guests will be right on the edge of the Swaner Nature Preserve, golf courses, ski resorts, and much more. The luxury space has contemporary decor and gives you easy access to many of northern Utah’s splendors, including world-class skiing. There are many special in-room amenities offered such as private decks with hot tubs, cozy fireplaces, and heated bathroom floors just to add an extra touch of lavishness during your stay. 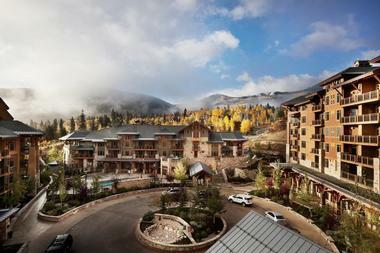 Other features of the hotel include free parking as well as complimentary shuttles to downtown Park City. One of the most popular adventure resorts in St. George, Utah, Red Mountain Resort is a stunning accommodation that naturally blends into its surroundings. 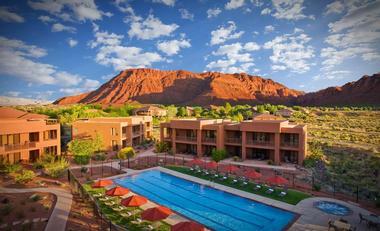 Guests there will be able to see unparalleled views of southern Utah, from the canyons to the vivid red rock cliffs. With their specialty being in executing adventurous vacations, you’ll be able to customize your trip with all of the things you want to see and do while getting up close and personal with one of the most breathtaking parks in the U.S., Zion National Park. If you want something more relaxed, say no more, as the resort lets you unwind with nature-inspired body treatments at the in-house Sagestone Spa and Salon. If you’re looking for a relaxing resort in Utah, look no further than Coral Springs Resort. Ideally located between Zion National Park and downtown St. George, guests will be within short distance to many sites and attractions such as Sand Hollow Reservoirs, Snow Canyon, and the many activities such as hiking and ziplining that are available within the park. The resort is the ultimate relaxation space as it offers a cozy fireplace, a relaxing hot tub, and refreshing indoor and outdoor swimming pools. Other facilities offered at Coral Springs include their renowned spa, tennis courts, and a state of the art fitness center. 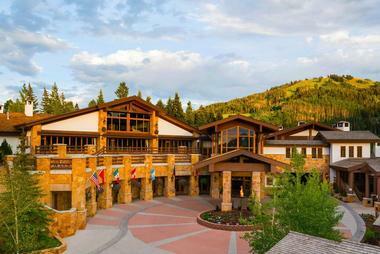 Stein Eriksen Lodge in Deer Valley is often called one of the best ski hotels in the world, and rightly so as they offer so many amenities and features to ensure that their guests have a memorable stay in Park City. 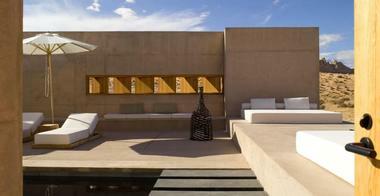 The rooms are relaxing and luxurious and there are many unique atmospheres to select from based on your style and taste. Speaking of taste, be sure to dine at their Forbes Four-Star Glitretind Restaurant for a fabulous buffet meal or Sunday brunch or even have the meals served in your room. In addition to indulging in their rejuvenating spa during your stay, there are also a number of cultural activities and outdoor adventures you can take part in throughout the year. Sundance Mountain Resort offers the perfect combination of luxury lodging, amazing food, great skiing, and so many other things to see and do during your holiday in Utah. There are always several events lined up at the hotel, especially during summer months, such as music festivals, concerts, theater performances, and much more. The rejuvenating fresh air of the surrounding mountains offers no better place to indulge in a spa treatment and really let go of all of the stress and worries of everyday life. 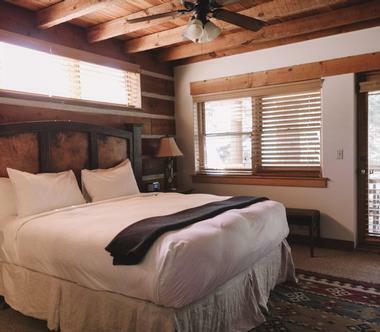 All of the accommodations offered make the most of the picturesque location and are great as a home base for private escapes or outdoor adventures. 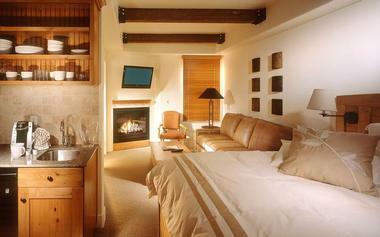 Chateaux Deer Valley is a Park City hotel that offers many packages personalized toward your expectations. During your visit there you’ll be able to indulge in a daily breakfast at their Cena Ristorante, book services in their on-site spa, dine in any of their Stein Collection restaurants, or book local activities with the front desk team. There’s so much to see and do while you stay in Chateaux Deer Valley, and adventurous guests will love going on hot air balloon rides, horseback riding, fly fishing, or exploring the stunning surroundings on an ATV or bicycle. The Grand America Hotel is a memorable place to stay during your visit to Utah as it is divine, with many of their 775 guest rooms offering floor-to-ceiling windows, spa-style bathrooms, and complimentary Wi-Fi. The executive suites are lavish and have an Italian marble bath, handcrafted cherry wood furniture, step-out balcony, separate living area, and decor cultivated with style and elegance in mind. If you do decide to venture out of your stunning room, many facilities await you, such as a gourmet mini refreshment bar, outdoor swimming pool, expansive fitness center, friendly concierge, and the hotel’s grand lobby lounge. Situated within a gated golf community in St. George, Utah, the Inn at Entrada is a small luxury resort that is just perfect for a relaxing holiday. The desert paradise offers breathtaking views of Snow Canyon State Park and is in close proximity to Zion National Park, the Tuacahn Outdoor Theater, and many other attractions. Spends your days lounging and playing a round of golf in their lush course, which has been named by CNN as “one of the 19 epic golf courses to play before you die.” You can also spend your time relaxing under the sun in the expansive resort swimming pool or enjoying the facilities of your accommodation, no matter if you’re staying in the Studio Casita or the Johnny Miller Suite. 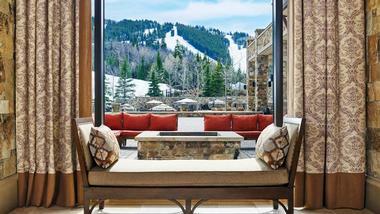 The St. Regis Deer Valley Hotel is a sophisticated accommodation option situated within the renowned Deer Valley Resort. It is a AAA Five-Diamond mountainside retreat that is surrounded by refined luxury, alpine-covered slopes, and first-class service – inside and outside the hotel. The St. Regis is home to a private ski valet and ski beach as well as extensive relaxation facilities such as steam rooms, sauna, whirlpool, and treatments in their Remede Spa. 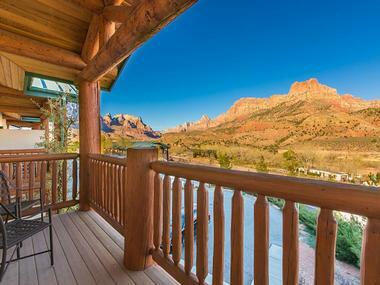 You can choose to stay in a guest room, suite, or private residence, many of which offer spectacular mountain views. If you’re planning on venturing out to the many attractions surrounding the hotel, be sure to take advantage of their complimentary hotel shuttle throughout your stay. Cable Mountain Lodge is a world-renowned Springdale hotel that offers first-class accommodation and amenities to its guests. 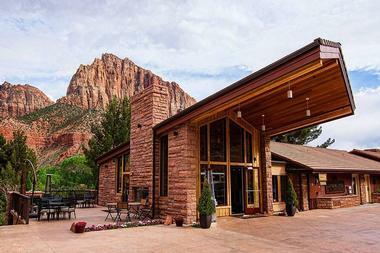 It is just steps away from Zion National Park, letting you soak in the majestic sights that surround you. There are gorgeous studios and suites for you to stay in during your vacation; studios are spacious, have separate sitting areas, and include amenities such as in-room microwave and refrigerators. The suites are a good choice if you want some extra pampering during your stay and comprise premium bedding, jetted soaker tubs, and a personal fireplace – some of the suites are also fitted with a private outdoor deck for you to dine in while enjoying the view. Capitol Reef Resort is situated right at the doorstep of Capitol Reef National Park and offers everything from guestrooms to luxury cabins. 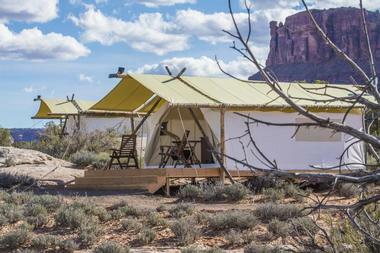 For a more unique and immersive experience, the resort also offers Conestoga wagons and teepees for you to stay in; glamping at Capitol Reef in a luxury teepee is an experience you will not find anywhere else. Guest room amenities may include daily housekeeping, complimentary toiletries, a flat-screen television, and a coffee/tea maker. All resort guests are welcome to use the complimentary Wi-Fi, take a dip in the outdoor swimming pool or hot tub, and enjoy the delectable cuisine served at the on-site restaurant. If you’re planning on adventuring into Zion National Park, then there’s no better place to stay than Cliffrose Lodge & Gardens. The accommodation borders the park and is the perfect location to make your home base. It doesn’t hurt that the resort’s rooms, suites, and villas are ultra-modern and luxurious with amenities that embrace comfort and style – many of them have private patios or balconies for you to enjoy unparalleled views of your surroundings. Resort amenities that you can enjoy during your stay include 5 acres of manicured grounds, a riverside beach, a riverside hot tub, a waterfall hot tub, and a heated outdoor swimming pool. Secluded amidst a lofty rock escarpment, the Amangiri resort is a gorgeous place to stay while exploring your surroundings. The renowned accommodation sits on 600 acres of land in southern Utah’s Canyon Point and is less than half an hour away from Page, Arizona. 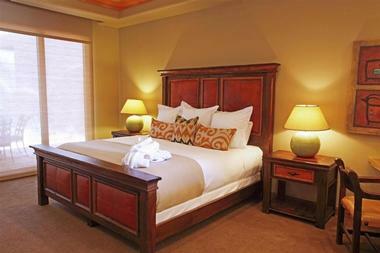 The resort’s suites let you enjoy panoramic views of the surrounding Utah desert while relaxing in lush accommodation with concrete walls, white stone floors, and an outdoor lounge with a fireplace. Staying at Amangiri means that you’ll be able to easily access Lake Powell and several national parks, so you can spend a lot of time outdoors hiking, climbing, and gaining a better understanding of Navajo culture. Situated amidst the Wasatch Mountains, Hyatt Centric Park City is a great place to stay during your alpine adventure in Utah. The hotel is right in the middle of the world-class outdoor destination and is a convenient home base for guests who want to venture out to ski, snowboard, snow tube, hike, fly fish, or play a round of golf. Once you step out of the hotel you’ll be a right on Main Street, which is great for a stroll and to experience the charming atmosphere. Downtown is also home to many cafes, restaurants, and eclectic art galleries you can explore while there. 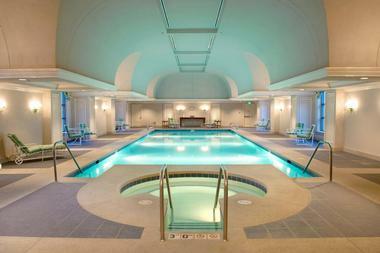 Head back in after a fun-filled day to soak in the hotel’s heated outdoor pool or one of their two whirlpools. 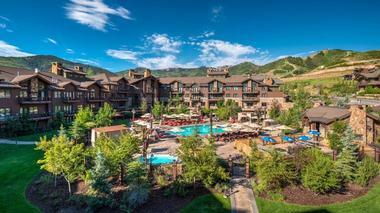 Westgate Park City Resort & Spa is an award-winning accommodation that has had many titles including “best ski resort,” “best of state,” and more. You’ll fully understand why as you enter the luxurious resort and you’re met with lavish features and warm hospitality. Even better, you’ll be amidst various attractions such as Main Street, downtown Park City, and Gorgoza Park, to which the resort offers a complimentary shuttle service. The unique accommodation also has over 7,300 acres of skiable land as well as 300 ski runs for guests to enjoy during their stay. Other features include a spa, fitness center, and a kids’ club for guests ages 3 to 12, where they’ll be supervised as they enjoy arts and crafts, board games, and video games. A Marriott hotel that is a part of their Autograph Collection, Hotel Park City is an all-suite luxury accommodation set right in the mountains of northern Utah. Each of their 100 suites includes a king-sized bed, cozy fireplace, jetted tubs, and a private patio or balcony with gorgeous views of the surroundings. 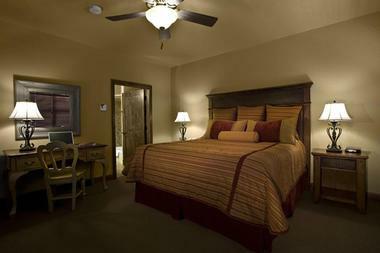 The hotel is AAA Four-Diamond rated and has won many awards over the years for their outstanding features and service. As a guest there, you’ll be able to experience their outdoor swimming pool or spa with facials, body wraps, and in-suite massages or even participate in a fitness and wellness class. If you choose to venture out, you can soak in the Old World charm of the area, have fun on the renowned ski slopes, or play a round of golf on the famed 18-hole course. An alpine ski resort in the Wasatch Range, Deer Valley Resort is popular with guests from around the world and has consistently been ranked one of the top ski resorts in North America. The wonderful accommodation provides their guests with upscale lodging and amenities that go above and beyond the usual features provided by similar resorts. Additional services that you might appreciate include complimentary parking shuttles, complimentary ski valets, and several boutique shopping and fine dining options right in the lobby of the resort. There are so many outdoor activities you can participate in while there; the resort has 21 chairlifts, 12 detachable quads, and a four-passenger gondola for guests to use.